I went to site today to help lift the 5 large panels into place. Harry Beverley and his team were brilliant. The walling is going to be finished soon and the coping will go on next Monday. It is exciting to see the whole project coming together now. 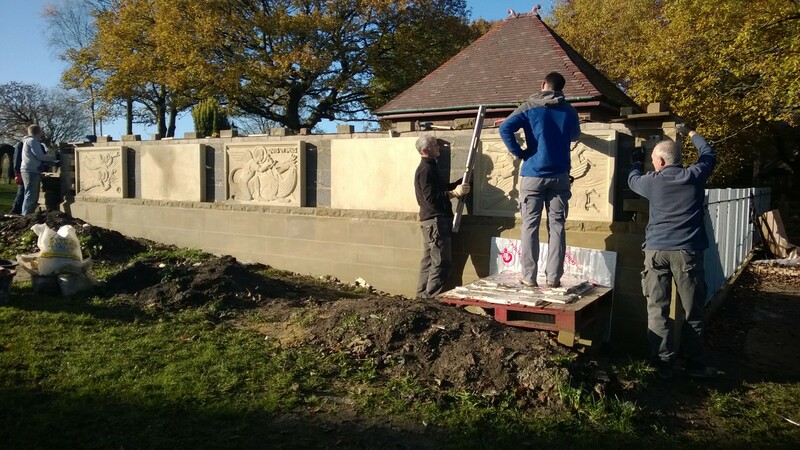 I’ll be working on site for a few days carving lettering into the coping, and starting the left hand blank panel which will be inscribed with the names as and when there are new burials of ashes. 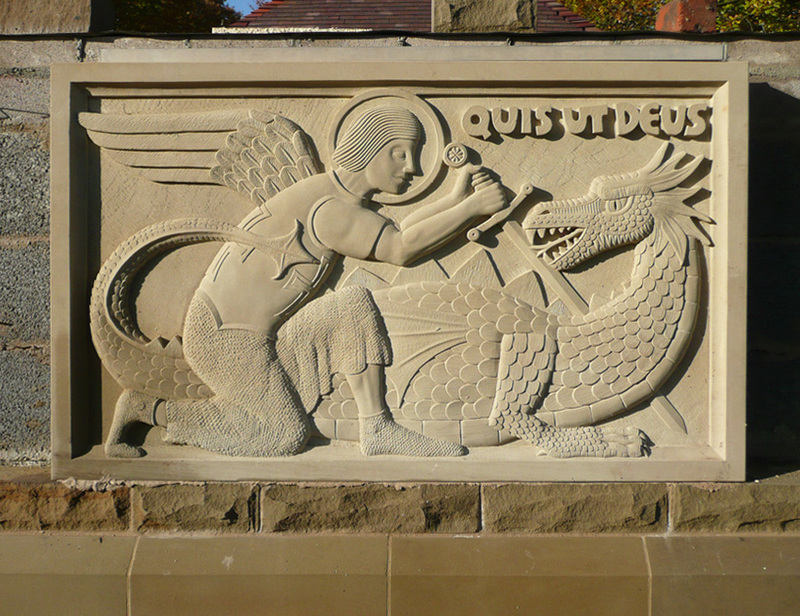 This entry was posted in church carving, stone carving, stone sculpture. Bookmark the permalink. Awesome. 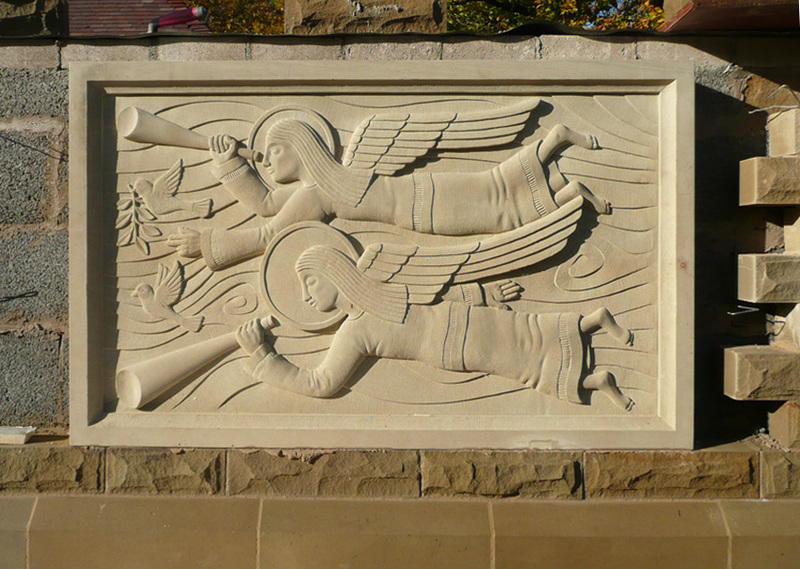 It’s stunning how being outside with natural lighting the carvings come alive, and the overall design has almost come to its beautiful conclusion. Well done. Congratulations, I really enjoy your work. The melding of all involved talents readily reflects commitment to each’s field’s disciplines. Again, well done to all. thanks Jim – it’s very exciting………….will keep you posted!